Life without computers and gadgets is impossible. They make our lives simpler. But one big problem that one needs to tackle is computer security. A little ignorance on the user’s side and your online security is at risk. One needs to take proper measures to make sure that your system and network is safe. There are different types of computer security threats. One of the most known threat is virus attack or malware attack. The latest virus attacks are testimony to the fact that these attacks can have devastating effects. Data loss is also one very popular threat. There are possibilities that the corrupted data is lost forever. The company and business will as a result incurs huge loss in terms of revenue. Another common problem is of hackers. Hackers can intercept the data. They can intrude into your personal space. Confidential data can fall into the wrong hands and your online privacy and security is at risk. Distributed denial of service, unauthorised access, etc. is also common network security risks. Unauthorised access not only leads to loss of data but it can expose you to more serious attacks. US lawmaker, Rep. Terri Sewell (D-Ala.), proposes the federal government to set up a program. Recently, the E-Security Fellows Act was introduced. This program is intended to help improve the cyber knowledge of political operatives. This will help political operatives to defend themselves against online phishing. The E-Security Fellows will train about 50 and 200 campaign staff every two-year election cycle. It is important to stay alert and make sure that you are safe when you are on a public network. Even when you are using a private network to make sure that it is password protected. The easiest way out is to use virtual private network services or VPN services. This will ensure that you are safe while browsing the internet. No intruder can eavesdrop even when you are using a public network. This is also an easy way to overcome geo-restriction. But all this is possible only if you use a good service provider. Take the example of Le VPN. This is one of the fastest VPN service. When you use Le VPN your internet speed is not compromised. You have a seamless experience. At the same time your online security is not at risk. You can browse anonymously. The smart phone apps of the Le VPN are easy to install. These apps take care on your online security even when you are on the move. 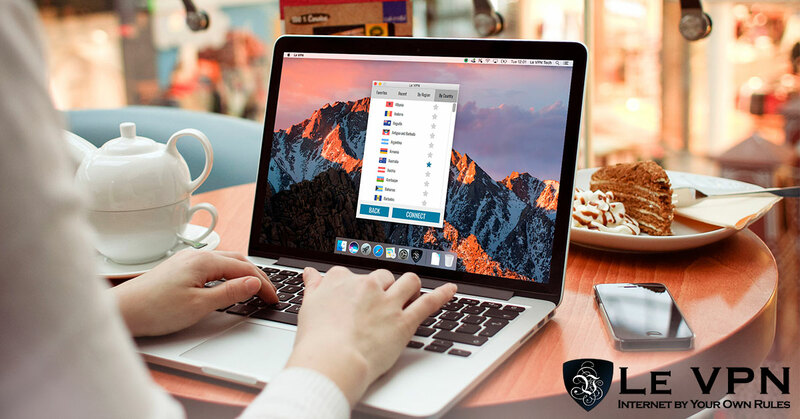 Since Le VPN has servers in 114 countries, it offers services across different countries. So, your computer security is not compromised even when you are travelling. The packages that they provide are highly competitive. There is no effect on the browsing speed and you can browse without any problems. So! Subscribe for Le VPN services and get seamless online ex services and get seamless online experience.